Hi Girls, hope you are keeping well. I am bit sad to say buy to this chilling winter. Of course, too cold is tough but always better than hot summer days, which I hate totally. 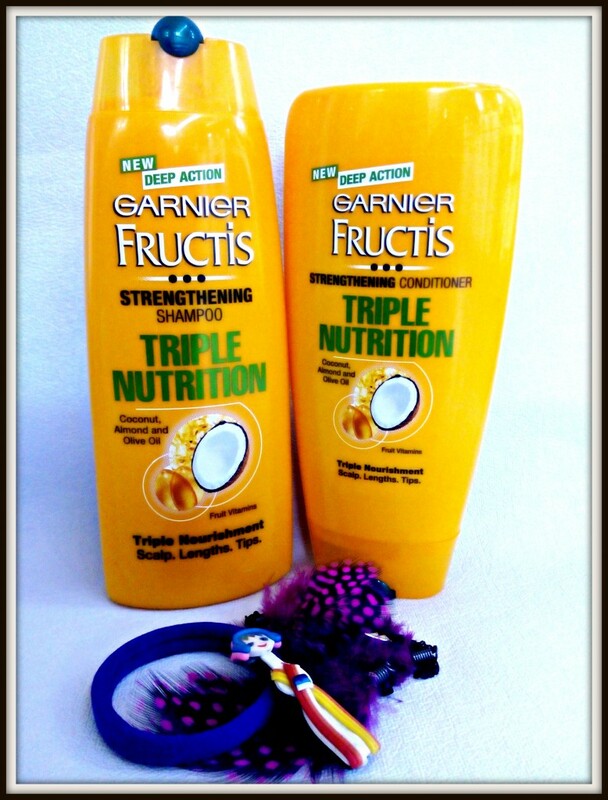 Anyways, today I am starting a new hair care routine with latest Garnier Fructis Range called Triple Nutrition. 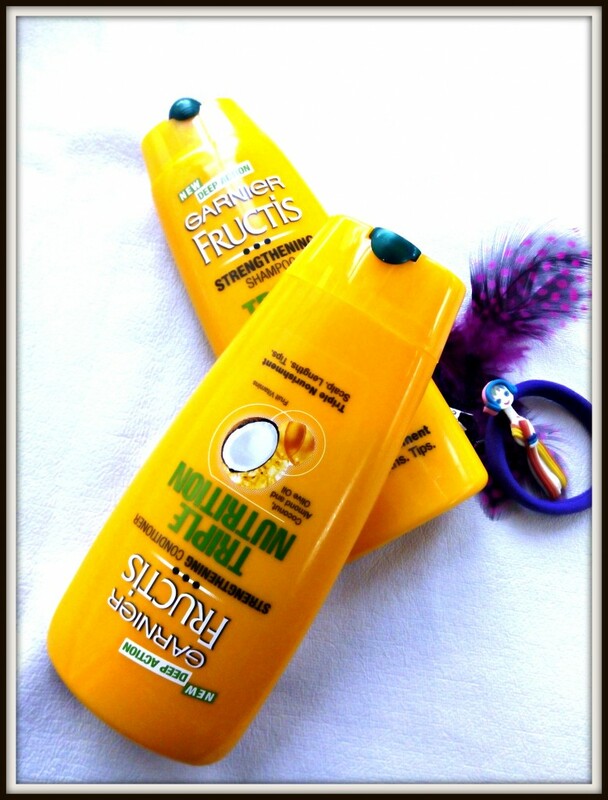 Before I start using them, I wanted to share my current hair condition and my first impression to Garnier Fructis Triple Nutrition Shampoo and Conditioner range. I am doing this post with one more reason that; when I review Garnier Fructis Triple Nutrition Shampoo and Conditioner after a month or so, you and me; we both can see results in terms of my current hair condition and my hairs after a month of use. And we can actually compare the results. 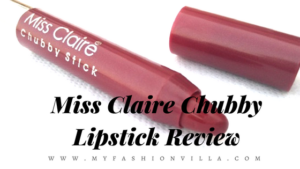 To be very honest, I have really high expectations from this triple nutrition range; as I have already heard pretty good reviews and I am aware about the goodness of Garnier Hair Products. So, with my finger crossed; I am starting a new hair care routine. Because I am testing this new range; I will not be using any other hair care products for a month, like hair serum, hair mask, split end serum etc. As you may all know, my son is one year old. With him I hardly get time to look after my hairs. He really keeps me on the toes as he is now trying to take steps and walk, means I have to stay around him all time. With all that I hardly get time to take any extra steps for my hair. Sometimes I plan to oil my hairs and don’t get chance to oil for 2-3 weeks. Same with hair mask. And for now; I have stopped even thinking about Home remedies and DIY Hair Packs! 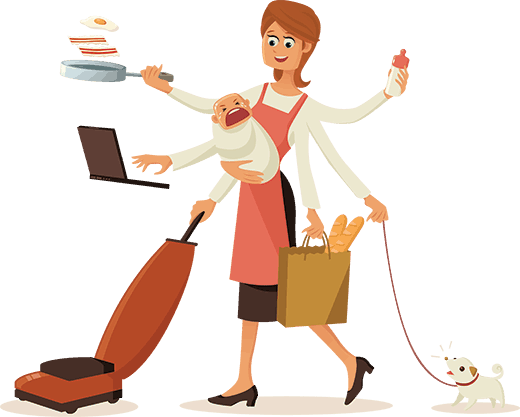 Not possible with a toddler kid! Though, I am not facing hair fall or dandruff. 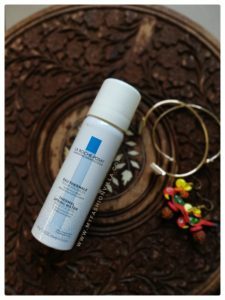 But my concerns are Dry and Dull Hair; as I am not oiling them regularly and not taking care of applying some nourishing mask regularly. The result is dull hair with no shine L Also; I am seeing lots of grey hairs; that’s may be my thyroid medication. 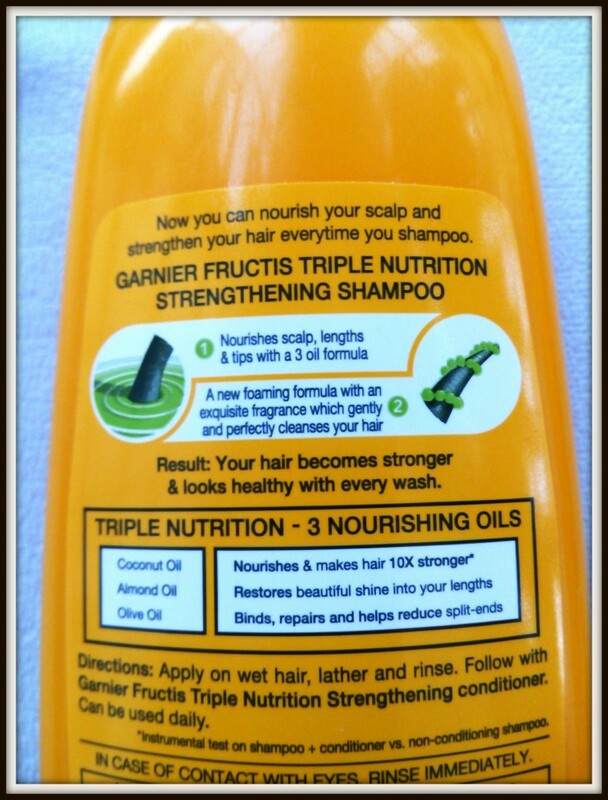 So finally I am starting with new hair care routine with Garnier Fructis Triple Nutrition Shampoo and Conditioner; and expecting that; they will take care of my hairs when I am busy and not taking any extra hair care steps like hair oil, hair mask or applying homemade hair pack. 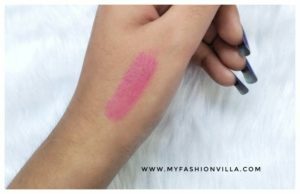 I am going to share results after a month on MyFashionVilla. I received my shampoo and conditioner last week only. Garnier Fructis Triple Nutrition Shampoo and Conditioner come in Bright Yellow plastic bottles. Both of them have flip cap to open and take out product. The bottles are sturdy and travel friendly. 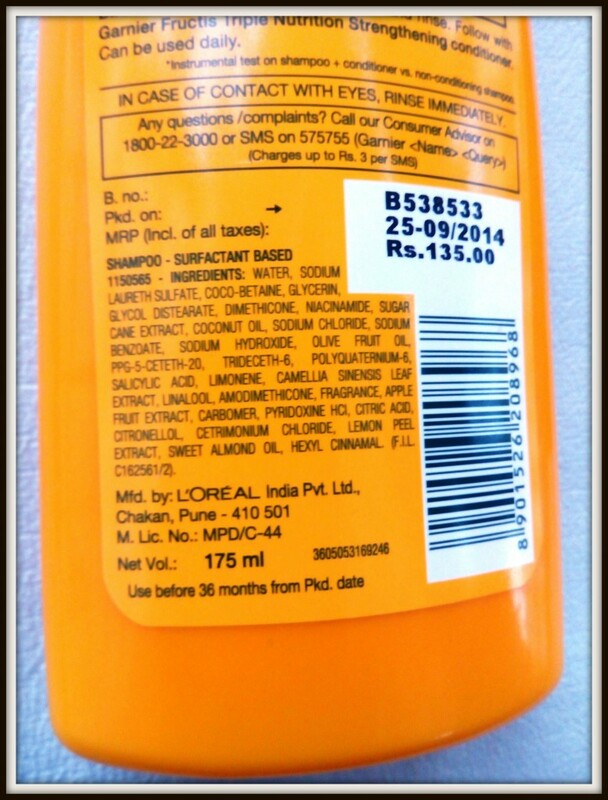 The quantity is 175 ml and price is Rs 135. I must say, that price is quite affordable for the quantity they are offering. The same range is available in other packaging also. But to try, i guess the quantity is perfect. The triple nutrition range has all goodness of three oils which are considered good for hairs, which are Coconut oil, Almond Oil and Olive Oil. What Olive Oil Does? 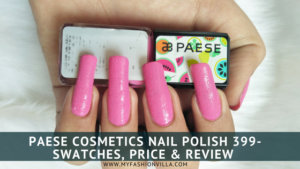 – Binds, Repairs and helps reduce split ends. As the brand is from L’Oreal family, and been known as hair care experts; I have high expectations from this range!